Shutting down…why were teams caught out in Mexico City? Formula E, in a word? Chaotic. Speed is always rewarded in motorsports, and so it is here – but the electric series rewards smarts in a way the others don’t match. Battery saving is of the essence, fuel management dialled up to 11 and a variable always ready to implode those who get on the wrong side of it. And implode it did on the tarmac of Autodromo Hermanos Rodriguez. A rogue red flag in the race, brought out by Nelson Piquet Jr’s trip towards the ozone after launching off the back of Jean-Eric Vergne’s DS Techeetah, threw off the teams’ energy management targets by muddying the statistical waters. 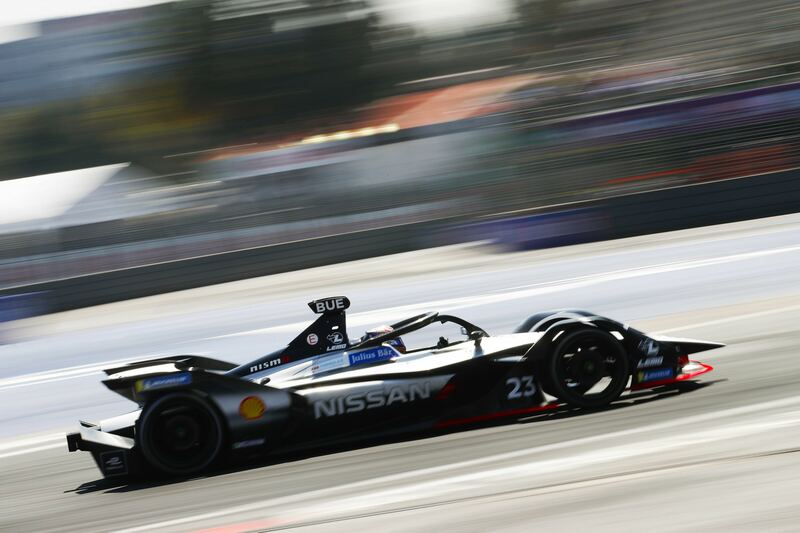 Nissan e.dams were the ones most drastically caught out by the energy purge; both Oliver Rowland, set for a maiden podium finish after a start for the ages, and Sebastien Buemi were left stranded before they’d even left the stadium section for the last time, and the seemingly nailed-on winner Pascal Wehrlein was denied his first win (he would’ve been by his penalty anyway in the end, one that has proven to be divisive across fans) by his Mahindra hitting zero just metres from the line. But how can this happen, in such a professional and technologically advanced sport? There’s a few reasons as to why. Firstly, consider just how rare red flags have been in Formula E’s fledgling history so far. Only one other race-stoppage has occurred, in Season 4’s Hong Kong E-Prix, so it’s hitherto extreme in its unlikeliness. It’s not common for these variables to interrupt a race. On the face of it, a red flag shouldn’t even change a team’s calculations; the rules state the time a stoppage occurs will be added back onto the race duration, to cover for the delay. But this can still impact a team’s strategy, with laps undertaken under safety car conditions. The safety car, required to ease the 22 chariots back into fight, was out for two laps before the machines behind were truly unshackled. Those laps fooled the teams into easing their energy-saving demands; the drivers were also bunched up and raring to overtake where, had there been no red flag to disrupt the E-Prix’s natural flow, they’d have been able to regulate their energy usage. Two sets of neutralised gaps are bound to use up more energy, eating into the saving gained through the safety car period – an issue some of the teams didn’t take into consideration, until it was too late. The Nissan e.dams cars, the earliest to run out of juice, didn’t think about their energy usage as they were making progress. Rowland was fighting Lucas di Grassi and Wehrlein up ahead, eager to grab a headline win both for himself and his team, while Buemi was desperate to claw back momentum both in the race and in a title fight that is already slipping away from him. Both only realised the drastic nature of their predicament until five laps before the finish. Wehrlein also had his work cut out; there was a win on the line. Go too conservative, and di Grassi behind was ready for the home run, while if he’d made haste while under Attack Mode, he’d never have crossed the line at all. In the end, he just about made it past the chequered flag, but on 0% and with a second place on the road – he’d managed the situation to a tee in the last few laps, but the damage was done well before then. 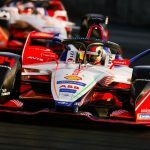 But there were teams and drivers who made the most of others’ miscalculations: di Grassi was able to pounce within the last seconds, having 2% more energy in the tank than his stubborn adversary. Antonio Felix da Costa, looking in the middle stage of the race as though it was set to be a disappointing one, was able to carve a tunnel to second with his BMW i Andretti Motorsport machine; likewise Venturi’s Edoardo Mortara, finishing third in a race scarcely believable for his struggling team. 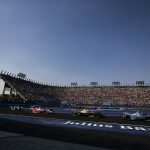 Given just how topsy-turvy Formula E inherently is, its no surprise the Mexico City E-Prix played out like it did; in fact, the real surprise is in how it took this long for it to happen. The Gen2 cars may be more efficient beasts compared to what’s gone before, but they will throw up some new energy-management issues. Mix that with a blue-moon race stoppage, and there’s always potential for a mad scramble to make the line at all, let alone quickest.